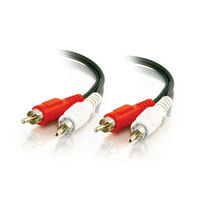 Value Series RCA Audio Cables allow you to connect your VCR, DVD player, satellite/cable receiver and other a/v equipment with ease. 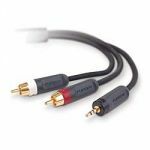 These cost conscious cables are of high quality giving you crisp, clear sound for less. 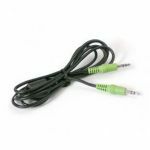 The dual conductor is spiral-wrapped with tinned-copper, which provides shielding against EMI and RFI interference. 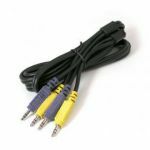 The connectors are color-coded for easy installation and identification and provide excellent strain relief. 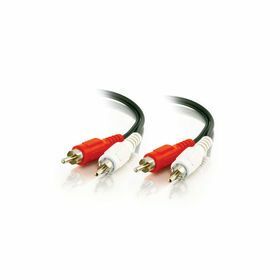 Dual RCA Audio Cables are used to connect the composite audio signal from the left and right channels on your A/V equipment.